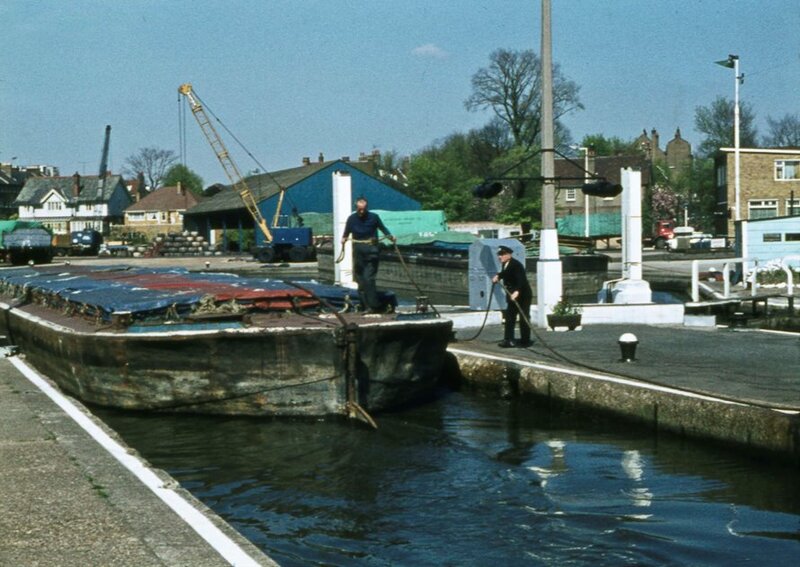 Peter Young took these photos on a sunny spring day, May 2nd 1973 at Brentford Lock. The daffodils look like they are nearly over. 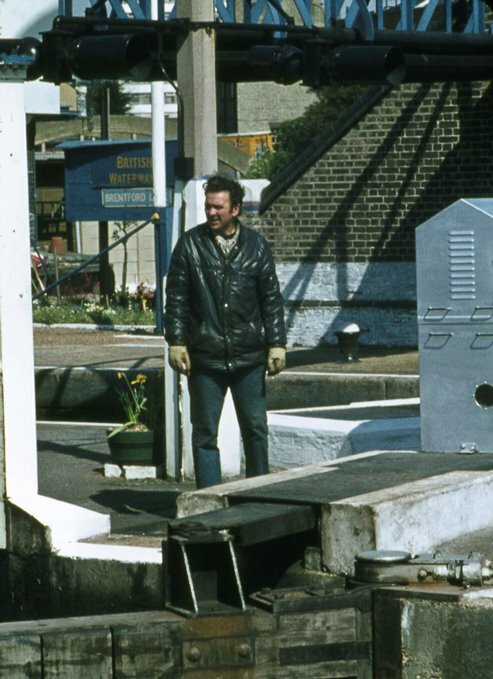 The first takes in a leather-jacketed bargee and the second gives a wider view of the same spot, with one of the lock keepers and a different bargee. A third photo taken on the same day gives us a panoramic view with some of the same individuals and barges; this page includes a map of the area if you are lost and links to other views of Thames Lock. A fourth photo from the same day shows the two lock keepers at work. Does anyone recognise the bargee or the lock keepers? Please get in touch if you can help.